My name is Justin Teyssier. I am a junior at Temple University’s Fox School of Business pursuing a Bachelor of Business Administration in Management Information Systems. I recently completed an internship at Plus Consulting as a CRM Consultant. I am currently looking for full-time job opportunities for the Spring of 2018 and beyond. 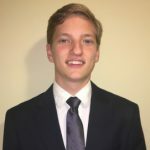 Please feel free to click around my ePortfolio and check out my resume, connect with me on LinkedIn or email me with any questions, advice, or opportunities at justin.teyssier@temple.edu. Thanks for your time!